East Kilbride was classed as Scotland’s 1st ‘new town’ in 1947, one of 6 which was developed to combat the problem of overcrowding in Glasgow, which is 10 miles north of the town. The history of the settlement dates back much further than that however and it is said to be named after the Celtic Goddess Brigid, who was widely worshipped in the area before the introduction of Christianity. There is plenty to do in and around East Kilbride for people who enjoy being active. For those who like the water, there is the Dollan Aqua Centre, and the James Hamilton Heritage Park, a 16 -acre loch which provides a range of water sports activities and RYA certified sailing lessons. There are also a lot of interesting sites for nature lovers, such as the Calderglen Country Park, which has its own zoo and tropical conservatory, a peaceful nature trail and natural waterfalls, as well the Langlands Moss Nature Preserve, which is a protected peat bog site. East Kilbride has always made the most of its natural resources and it houses the largest on-shore wind farm in the whole of the UK, which has a visitor’s centre so people can learn more about how this natural energy is harnessed and used. More can also be learnt about East Kilbride’s agricultural heritage at the National Museum of Rural Life’s fully operational replica of a 1950s farm. 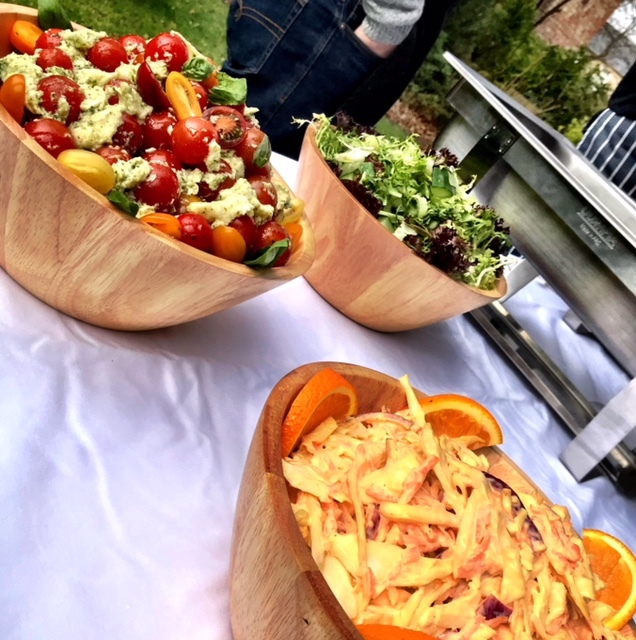 It is great catering in an area that benefits so much from what the landscape has to offer, and the Hog Roast East Kilbride team loves the abundance of locally-grown produce available when we are selecting our ingredients. We only ever use the finest regional fare and meat that has been reared in the most ethical conditions in all of our dishes, which is why the quality of our food is second to none. It isn’t just the quality of our ingredients that makes the people of East Kilbride come to us time and time again for all of their event catering needs. Because there are so many beautiful outside spaces to enjoy in the locality, people want to have their special occasions in these lovely spots, and here at Hog Roast Kilbride, we have the flexibility to comfortably cook outdoors for any occasion, whether is be by the side of the loch, or a woodland setting. The ability to cook in people’s favourite places, combined with the superiority of our ingredients, makes Hog Roast East Kilbride the number one catering solution for any event in the area.